Notable names have experienced defeat at the hands of Algeria’s Sami Kherouf: however in continental events, the 29 year old has yet to realise his potential. At the 2018 ITTF African Championships, which commence on Monday 3rd September, in the Men’s Singles event, he aims to be amongst the contenders for honours. Notably at the ITTF-Africa Top 16 Cup held earlier this year in Nairobi during the first week of March, he finished in a highly creditable sixth place; in Mauritius the aim is to build on that achievement. Consistency has made Sami Kherouf the top player for the North African nation. He is ready again to lead the team against the best of the continent in Mauritius. 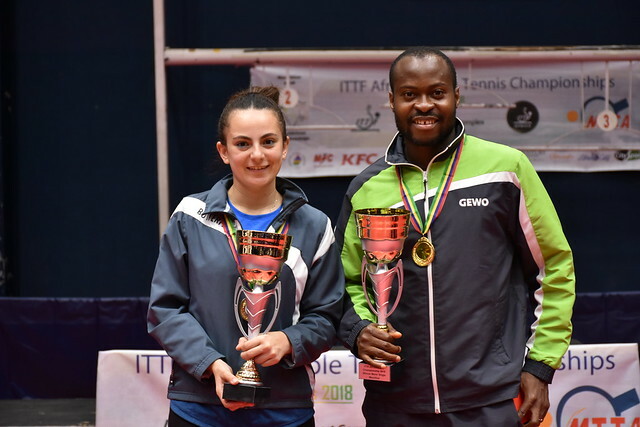 Having watched Quadri Aruna win the Men’s Singles title at the 2018 ITTF Challenge Seamaster Nigeria Open, Sami Kherouf believes the Nigerian has all it takes to claim the title in the absence of Egypt’s Omar Assar. Now, having finished third in continental team tournaments on many occasions; Sami Kherouf believes Algeria can exceed a bronze medal zone this year. Positive and Sami Kherouf is positive about the standard of the sport in Africa particularly with players from the continent breaking into the top 20 ranking in the world. The 2018 African Senior Championships conclude on Sunday 9th September.